Currently gettin my first pair of rats & Cage. As things stand I own one cat, what should I do in terms of making them get along. The cat itself is a small black thing, really timid and sweet. Does do a bit of bird hunting though. The Rats are young ones I think. How should I approach this and what should I expect. I don't have cats, so I imagine someone with experience will come along with better advice. But if I was getting cats I would do this. I imagine you could have them in the same room granted the cage door is firmly shut and you keep a good eye on the cat. I would never have the ratties out freeranging with a cat about but. Make sure you lock the cat in another room when you have the ratties out. Why do the rats and the cat need to get along? Naomi1984 wrote: Why do the rats and the cat need to get along? It would be nice if I could have both out together. Not essential, but better. i can't imagine ever having rats and cats out playing together. i'd never want to risk it, even if they were comfortable sniffing each other through the bars of a cage. i imagine the stress for everyone involved would be enough to put me off, nevermind the high risk of injury or worse. i may be wrong but, i'm sure there are people out there who have rats and cats who get on fine. TBH its a big nono really. Cats have instincts and you never know when they could turn and unfortunately it could be fatal. I have cats and rat cages in rooms that the cats go in, but when the rats are out the cats are firmly shut the other side of the door. I know there's a number of Youtube videos showing them together, and rats will often show no fear of cats and blatantly pursue them, but it only takes one trial swipe from the cat for a disaster to happen. It's really, really not worth the risk. the cats are not at all interested in the rats, but I would NEVER have the rats and cats loose in the room at once. They are animals, no matter how much we personify and adore them, they are animals with instincts. Animals do not know good and bad or right and wrong! Whats that film with the snake story? about the lady saving the snake trapped in ice and then the snake kills the lady and she says 'why did you do that when i saved you' and the snake says 'hey lady you knew i was a snake!' kill bill or pulp fiction maybe? Absolute no no, however well they may seem to get on with bars between them, the cats' instinct could take over if they were loose together. This has been covered many times before and the overall majority agree that it is dangerous and just not worth the risk. All of our past ratties will always hold a special place in our hearts. Aquarius Stud breeding for British Blue, British Blue Agouti and Black, also from 2011 Burmese, Wheaten Burmese, Siamese, Golden Himalayan. I don't think it's worth the risk because if you think how tiny a baby rat is and how big a cat (even though she may be small) will look to them, it would scare them..
Also, a cat can change into it's "hunting mode" in seconds, and they are SO quick! 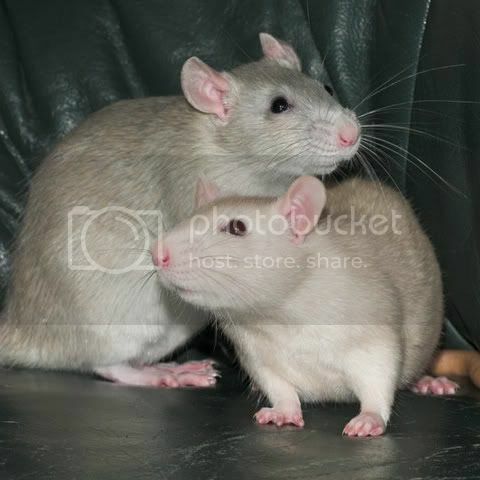 Although it would be lovely to have rats + cats living in harmony, and once my old boy Rudy (rat) and my kitten (casper - i hand reared him though so he was brought up with rats all his life - did get along and Casper let him run on his belly, i would never let him go near my rats now that he is older. In Aberdeen there's 2 cats in the house. The cats are allowed into my bedroom (where the rats are) so that they don't end up thinking there's some marvellous secret in here, but that's as far as it gets. 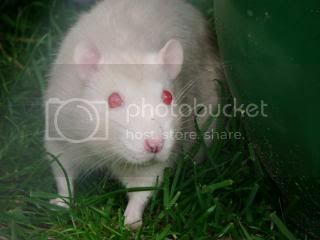 The rats are still a bit offput by cat smell and are noticeably less active in free range if a cat has visited recently. Occasionally I take a couple of rats into the living room, but only if the cats are outside or knowingly shut into another room. I have to say cats may ( and probally will KILL rats ) so I would'nt risk it just to be on the safe side. I have 8 cats and 6 rats along with many other different pets. I always close my door when the rats are out i will allow the cats to watch the cage if they do manage to get in but thats it now. My siamese cat got into my room while the rats was out, The rats chased her and she ran around which was funny to watch! 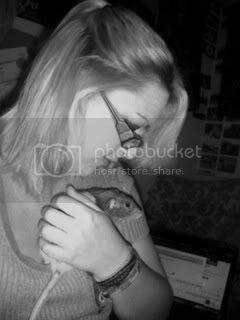 However on another occasion we had a hamster in the living room lived there about 2 years, the same siamese cat was shut into the room ( i wasnt aware she was ) and when i went back into the room i found the poor hamster dead his cage had been tipped up and he had a nasty neck bite.